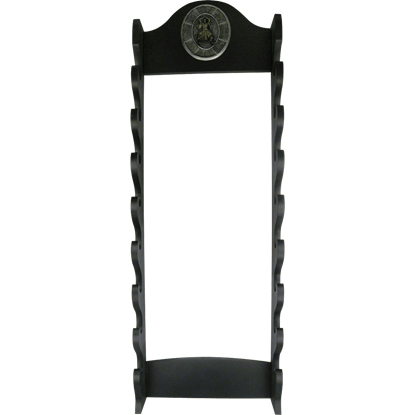 For the collector with a grand collection, there is no better sword rack to have than this 16 Tier Sword Floor Stand. 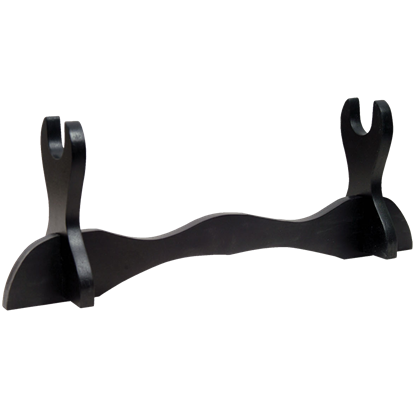 It is the perfect display piece, allowing any avid owner of blades to show off a considerable number with ease. For a collector, swords can be both a joy and a bane. After all, swords are not always the easiest things to display, much less store. 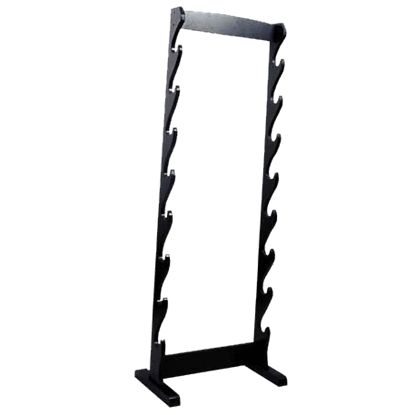 For the collector who has a many blades, nothing beats having one of these 8 Sword Floor Stands. 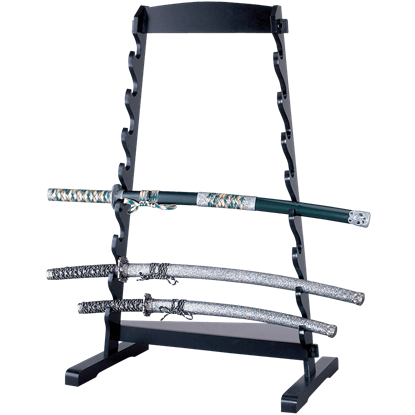 Eight swords is practically a collection on its own, and without a good stand, they can also be a chore to display. 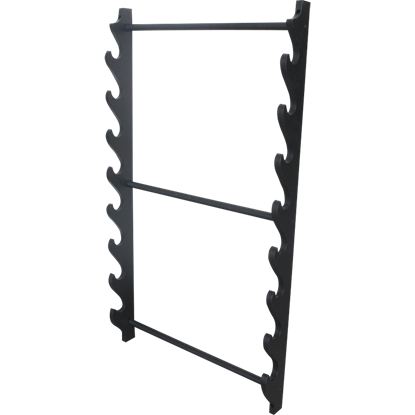 Luckily, this 8 Tier Slanted Floor Sword Stand gives you the chance to display eight arms of your choosing with ease. A considerable collection deserves to be displayed, not left to gather dust on the sidelines. 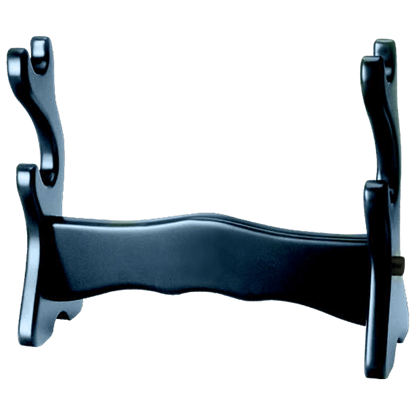 With this 8 Tier Wall Mounted Sword Rack, you can take eight of your finest pieces and transform them into a display that will awe your guests. When you have a dozen or more swords, deciding which one to display can be an impossible task. 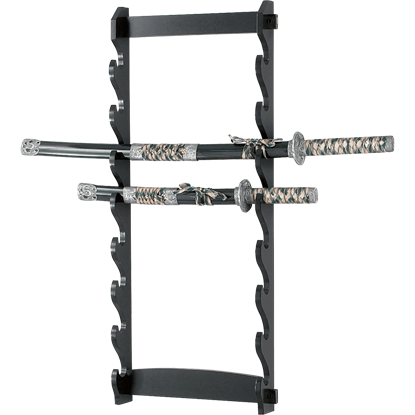 Luckily, you do not have to choose just one, because if you have this 8 Tier Wall Mounted Sword Rack with Samurai Plaque, you show off all 8! 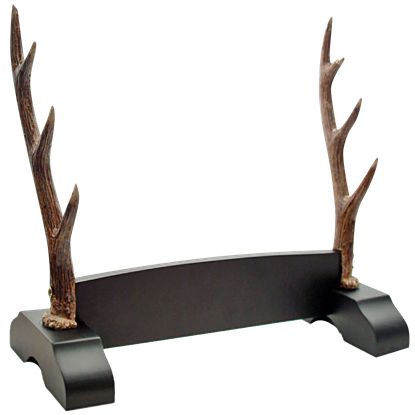 Add a natural aesthetic to your weapons display with the Antler Triple Sword Stand. 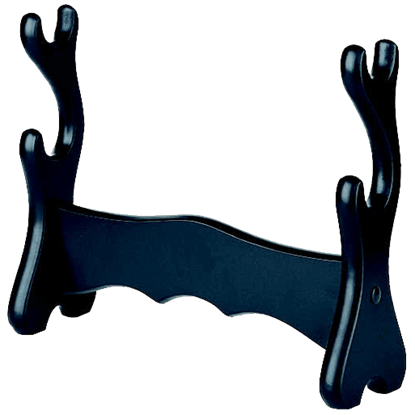 Highly realistic, the imitation antlers together can hold three different swords at once. 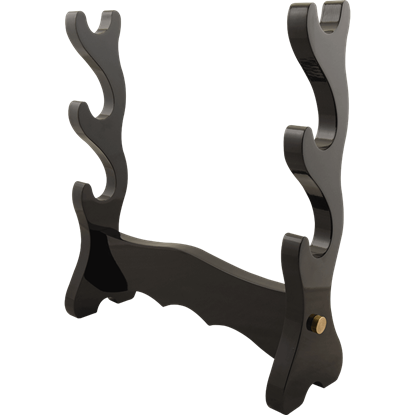 These horns have a black base for flat surface display. 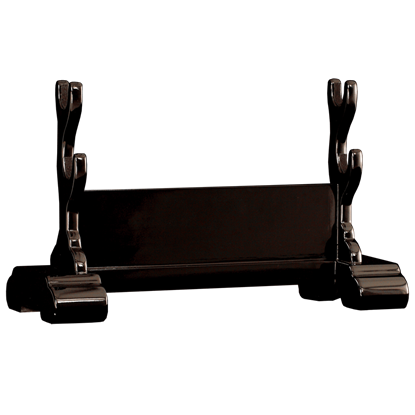 Make your favorite sword the centerpiece of your decor with the Black Single Sword Table Stand. 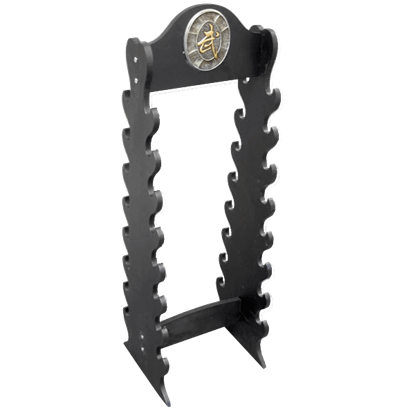 This wooden sword stand is perfect for placing not just on a table, but for displaying your sword on a shelf or a desk, as well.